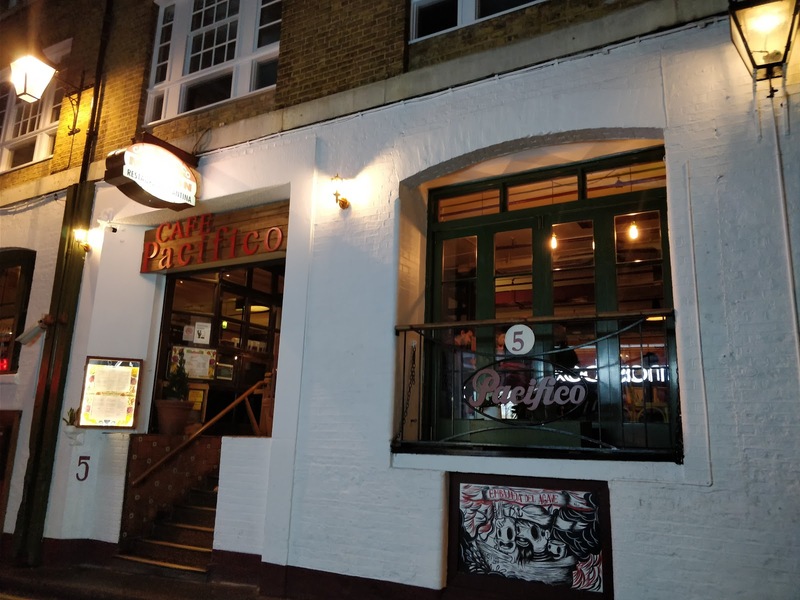 Cafe Pacifico has been a fixture in the heart of Covent Garden since 1982, the year when Michael Jackson released Thriller, the average house price in the UK was just over £23K and Channel 4 launched. The characterful and colourful cantina, situated in a former banana warehouse in Langley Street, has remained popular for more years than many of the current customers have been alive, and still remains true to its aim of providing quality Mexican food and killer cocktails, a combination which has proved popular with locals and tourists alike. 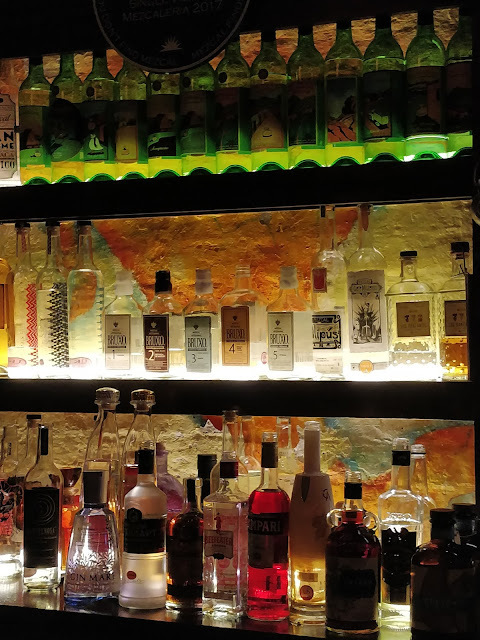 My love of cocktails is becoming legendary and in the interests of research I obviously had to try more than one from Cafe Pacifico's impressive cocktail menu to be able to complete a full review. No, you're welcome. I started with a vanilla mojito infused with vanilla infused Chairman's Reserve Rum and a splash of vanilla syrup which was a nice adaptation from the basic recipe and had a nice kick. 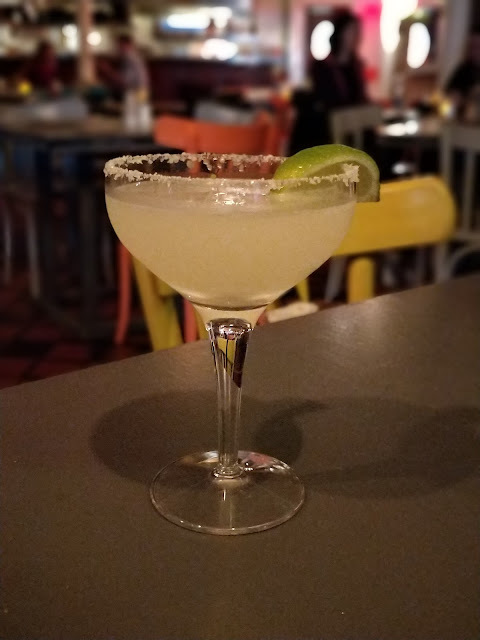 Encouraged by my dinner companion, May from EatCookExplore who was a regular at Cafe Pacifico back in the 80's I ordered a Pacifico Margarita made with Ocho Blanco Tequila 2017 Los Nopales, agave nectar and fresh lime juice. Cafe Pacifico has won awards for being Tequila experts and let me tell you, this was a cocktail with a kick like a Mexican mule and I was very glad we had ordered food as my head was already starting to spin. And that was before the smokey and brain blasting mescal came along! 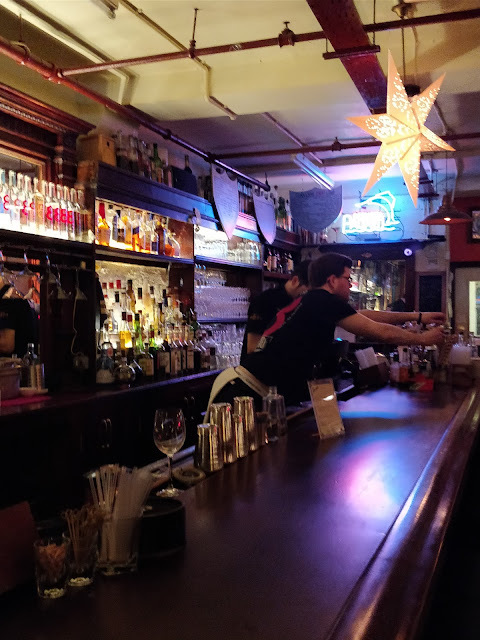 I mention food and of course despite having a long bar and and even longer drinks menu, Cafe Pacifico is first and foremost a restaurant. Mexican food has never been at the top of my list of fave foods, mainly because I don't really do spicy and I hate cheese. To be fair my only experience of Mexican food has been dodgy chain restaurants based in malls and cinema complexes where I anticipate the food is probably as close to authentic as prawn cocktail crisps are to the real 70's classic starter. Cafe Pacifico's menu hasn't changed much in the decades it has been open but why mess with success? 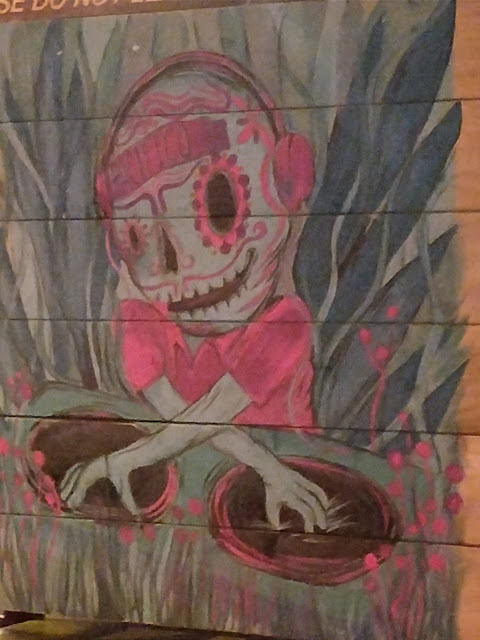 My mouth was watering at the sound of the ingredients reading the menu but I was glad to have a cantina regular to guide me as if I am honest I don't really know my quesadillas from my enchiladas. 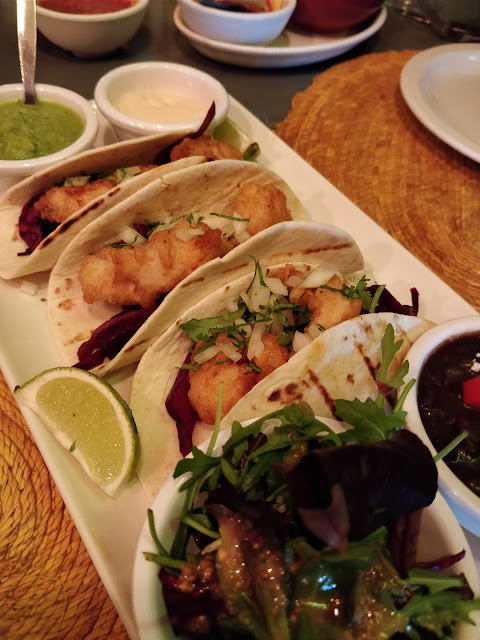 I do know what tacos are and could not resist the tempura seabass and king prawn tacos which came topped with red cabbage, crunchy jicama slaw, onions and coriander. The tacos came served with smoked chilli maya, tomato salsa, black beans and a green salad. We also chose the Antojitos platter for two which was a real treat offering blissful mouthfuls of flavour with chicken quesadillas, tlacoyos (handmade rustic corn tortillas) with chicken tinga, beef empanadas (like mini cornish pasties) and chipotle glazed char-grilled prawns served with guacamole, more salsa and crema Mexicana which is a bit like sour cream. 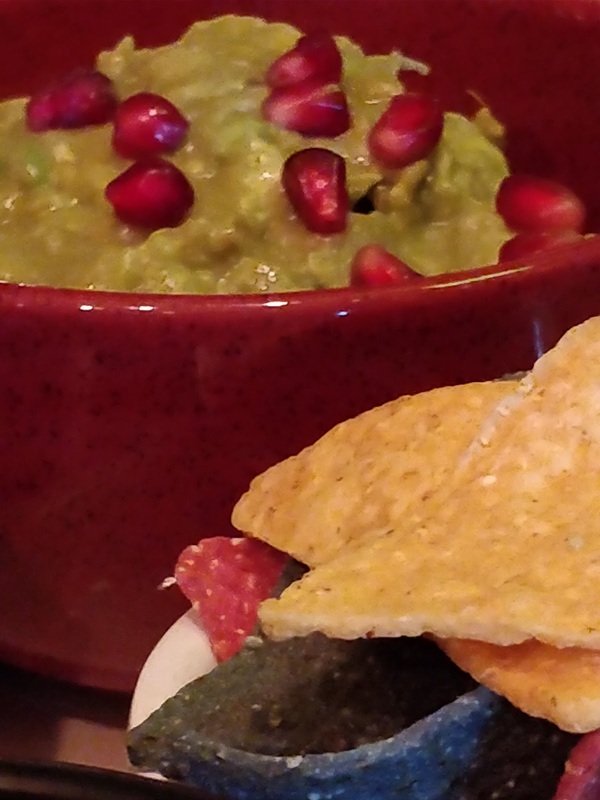 We ordered extra guacamole which came studded with pomegranate seeds with a side of multi-coloured tortilla chips for scooping. With eyes bigger than our bellies we also ordered the actually-honest-to-God-to die-for beef fillet, mushroom and prawn fajitas- I've kind of run out of superlatives to describe them so just trust me and order them. 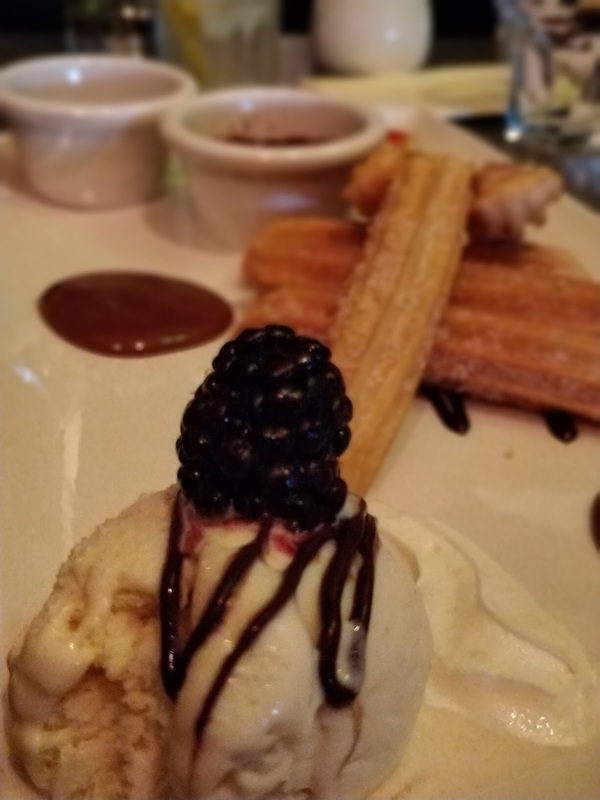 Stuffed to the gills I almost didn't even glance at the dessert menu then out of the corner of my eye I saw churros being delivered to the table next to us. I felt I would be failing you, dear reader, if I did not have some to ensure this is a full and honest review. And anyway there's a separate compartment inside humans for puds - everyone knows that. The churros come with chilli-chocolate sauce but if like me you don't like spice ask for chilli free choc or even better, their caramel sauce which I could have just eaten neat with a spoon. It was an eye-opening meal for me as thanks to expert guidance from our server Jones nothing was too spicy and I managed to eat a generous amount without any cheese - although there are plenty of cheesy options if you love it. 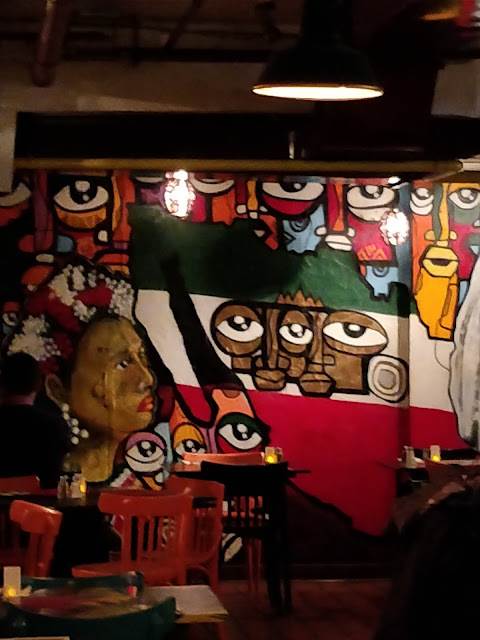 I'm now a fan of Mexican food - well at least of Cafe Pacifico's Mexican food. All around us tables were filled with people eating, drinking, laughing and chatting and so the atmosphere was buzzing even on a cold and rainy Sunday evening. The cantina is very family friendly and they have a special menu for kids with prices between £5.25 and £8 which is spectacular value for such a central London location. Children can choose classic nuggets and chips or fajitas or quesadillas along with a drink and an ice-cream sundae dessert. I cannot believe how many times I have passed this cantina without a second glance. Turns out it's a London legend and if you are planning a visit to our capital it's a must for at least one meal (and maybe a couple of cocktails) during your stay. You can reserve online and I would recommend doing so. Disclaimer: I enjoyed cocktails and food free at Cafe Pacifico for the purpose of this honest review. 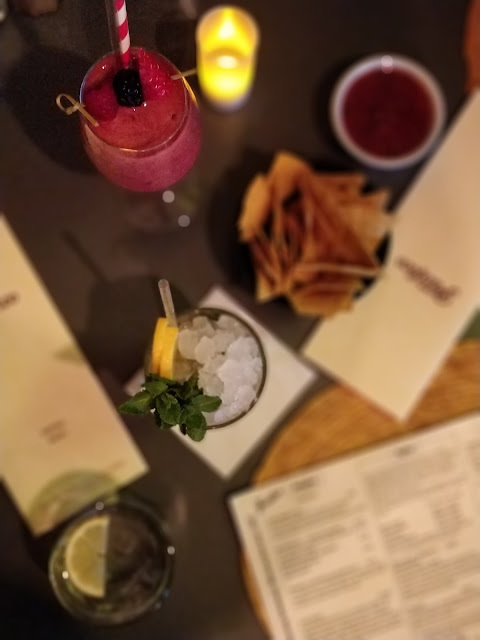 Cocktails and mexican food are 2 of my fave things. Will have to look it up when I'm in London.